When Hua Wu arrives in New York City, her life seems destined to resemble that of countless immigrants before her. She spends her hectic days working in a restaurant and her lonesome nights in a crowded tenement, yearning for those she left behind in Fuzhou, China. But one day everything changes for Hua, when she meets Jane Templeton and her daughter Lily, a two-year-old adopted from China. Worried that Lily will know little about the country of her birth or her native language, Jane eventually decides to hire Hua to be her nanny. From the moment she steps into Jane’s West Village brownstone, Hua finds herself in a world far removed from the cramped streets of Chinatown or her grandmother’s home in Fuzhou. Soon she is deeply attached to Lily and her adoptive parents. But when cracks show in the beautiful façade, what will Hua do to protect the little girl who reminds her so much of her own past? 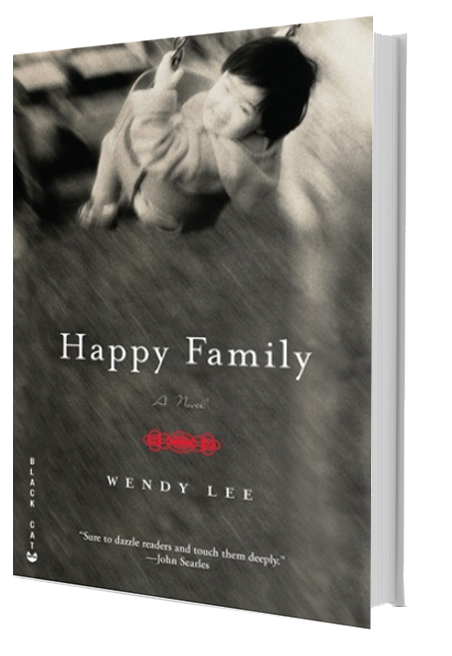 An elegant and poignant debut novel, Happy Family is an entrancing exploration of love and loss, the familiar and the foreign, and the ties that bind strangers together. © 2015 Wendy Lee. All Rights Reserved.